Those first few weeks are so fleeting. Baby changes so much, so quickly. Newborn sessions are a great way to document them here and now. The little toes, the chubby cheeks, the long eye lashes.. Those tiny details that will long since be forgotten. 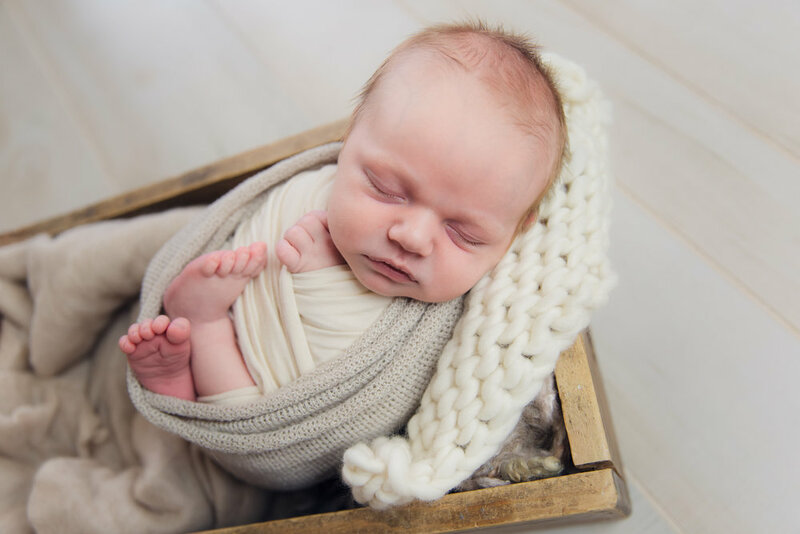 Posed newborn sessions take place in my home studio located in South Crestview. I have a wide variety of fabrics, fluff, tiny outfits, props. 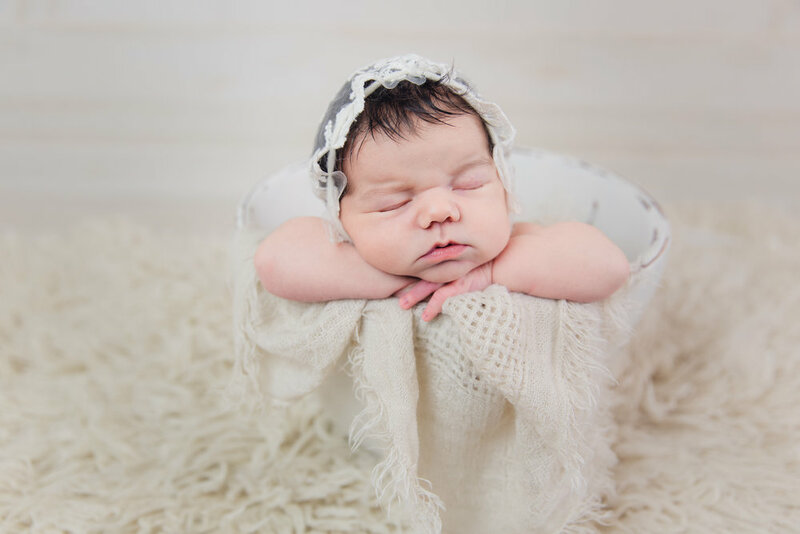 I also have experience with photographing over 250 babies and I've taken several classes to improve my skills and learn the safe and proper way to photograph babies. You can expect these sessions to last 1.5-3 hours depending on baby. We take breaks to feed and cuddle whenever necessary. These sessions can be booked while you're pregnant. Once baby is Earthside we'll set a date/time for you to come to my studio, usually when baby is 5-14 days old. Siblings and family members are welcome to join us, I have a playroom set up for them! Just as little one’s change so much in those first weeks they grow just as quickly. Milestone sessions are the perfect way to document those big moments throughout the first year. Those first gummy smiles, tummy time, sitting up on his/her own, and of course their first birthday. We can work together to find the perfect way to document your little one’s first year. Your gallery will include several different set ups and detail images. Digitals are included in your session fee but prints and canvases and photo books can be purchased upon viewing your images! For Cake Smash - You choose the theme & provide the cake & outfit. I provide the the setup!